Service-only application that logs the date and time, including the logged in users and the uptime of when the PC has been shutdown. Find out when and who powered on your PC while you were away. was shutdown, along with the list of logged in users and the PC uptime. 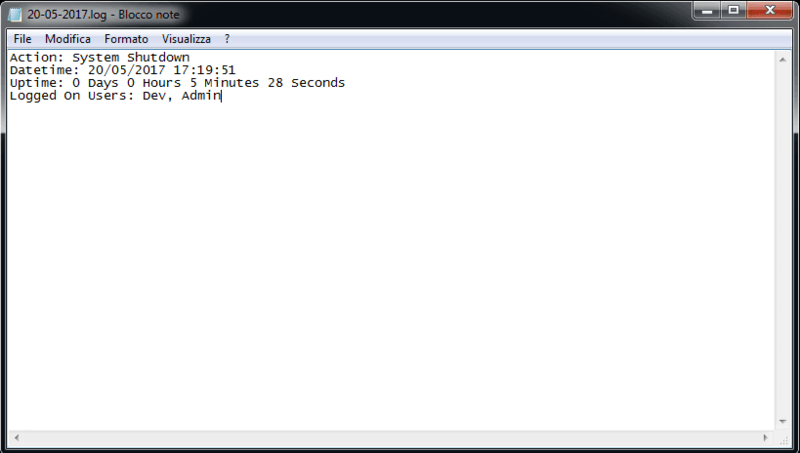 Date and time, logged in users and uptime of when the PC has been shutdown. Logs are very easy to read and parse, they are located in the same program folder.